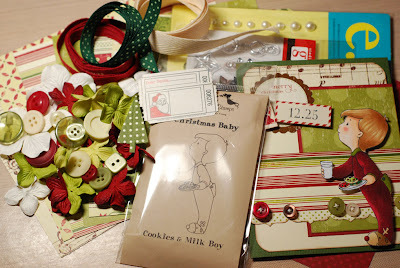 New super fun challenge with yumm goodies at CraftyJC Challenge: Brrrrrrrrrrrrrrrrrrrr! Come play along and win some cool goodies. So sorry for this late post. I am neck deep in packing and rationalisation – with our shifting to Bangalore soo close.. Here is a card which exactly the same as this but with a cute embossed butterfly. Now – how would you like some embossed die-cut butterflies?? Add a link to the blue froggy below and I’ll select a winner. And while at that, let me know if you want the butterflies in some specific colours. I’ll see what I can. Sometimes its just a couple of cute sticker is all it takes to whip up a cute card. Moral of the story – keep buying stickers from wherever you find some. And these days, you find them everywhere. Stitches added with a silver Uno pen from Venus Traders. I need to find out shops in Bangalore now! And yes, that’s the only Happy Birthday stamp that I have :) I need one where the sentiment is in one single line. Any suggestions? Did I tell you I am shifting to Bangalore? Mid next month yes! Mid October.. so that is actually, well, mid-this-month! Am I going to miss Pune – a BIG YES! sighh! First time ever to use those tucks in lace :) Loving it! So feminine isn’t it? Flowers and pearls from none other than itsybitsy :) Bee is hand drawn. The green polkas is a digital DP. Thanks for stopping by :) Have a great weekend ahead. Go here now and try your luck! The giveaway is soo cute. Here is my maiden attempt on Paper piecing. Oh so simple!! Stamped the image on the card stock. Did you know you can paper piece using Digital images & Digi-papers? Flowers and the butterfly are Cuttlebug die cuts. Layered the flowers. First time I’ve attempted tearing paper. Love it! no wonder my little girl does it soo often! :D. The butterfly has a little piece of twisted wire. Heyall :) Hope you are doing well. Here is my first take on CraftyJC Challenge – Sketch time. I love Christmas and love making Christmas cards throughout the year! So here it is – a Christmas card made in the midst of rains in Pune. Tomorrow Today is the D-Day .. launch of CraftyJC Challenge Blog! I am offering a wee bit of candy - 3 in number for you to publicize this! Get more people to join the fun! Shalini, Rachana - can you add a post on ATC too? 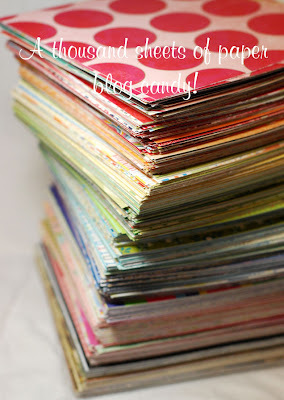 Go here to CraftyJC Challenge Blog - 5 Days to go Candy! Heyall! Have some fun news for you! 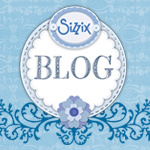 Announcing a brand new challenge blog here CraftyJC Challenge. We know how difficult it is to compete in the WWW – not a bit because of we are not creative – but it is oh so difficult and Expensive with a capital E to lay our hands on all the craft stuff which is easily available to all our fellow crafters else where! So, this Challenge Blog is to focus on Creativity and not on what material you have to produce the wonderful craft that you make. I’ve been inspired by you all. Thanks. Now, I do hope you would join this monthly challenge and make this fun. Please hop onto CraftyJC Challenge to have a look at Challenge information and sign up. Looking forward to hearing for you!! The sketch very very similar to this one here. Just the paper and digi image are different. The little girl is from 123coloring. There are a stupendous number of images. I picked one for the Precious Moments collection. It is actually two girls in this. I cut one of the out. Coloured the little girl with pencils and a little bit of bling. I loved colouring this picture! Fiskars Threading Water punch. Bought from Joann on a sale. Ok – I admit – I LOVE this card! :) I’ve never made anything like this before! The little sprite is the same as from this card. I LOVE this Sprite. A peek into the inside & the layers here! PS: I’d ordered some stuff of www.joann.com – on a 40% to 50% sale. Sent them to my friend Reeja’s place and another set to my uncle’s. I really am soo thankful to them and to Shantharam for bringing it across to India.. it did weight a lot! Thanks a lot!! Same stamp as here. Looks like I love this one :) Coz I used it for my own lil one’s first birthday too! Nothing else to add here actually. I think adding a little black – a piece of backing paper or maybe just inking the paper edges adds a lot to the card. What do you think? 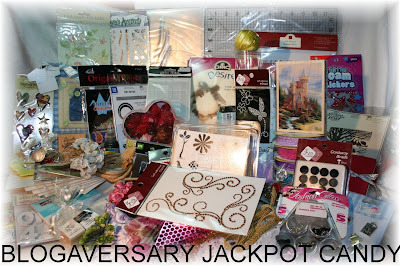 An awesome BLOGAVERSARY JACKPOT CANDY from http://priscillastyles.blogspot.com/!! There was a donation drive here at work & I’d volunteered to be in the stall to help with collecting the funds. Here is one of the cards I’d made for the sale. Another version of this card. Digi image from Birds Cards. I have a very interesting post coming up next – something close to my heart. So please do stop by later. 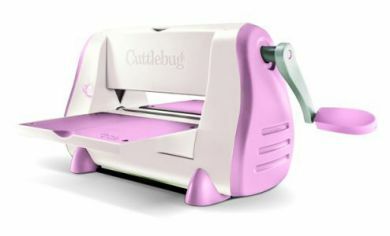 create4fun has a Blog Candy and it is a Cuttlebug and a gorgeous pink one at that! Have a patterned paper for you :) Tried a little bit of distressing. I’ve working on some more papers. Will post them soon. I think I appreciate my mom better now that I am a mom myself. The Circle flower stamp is from Birds Cards. 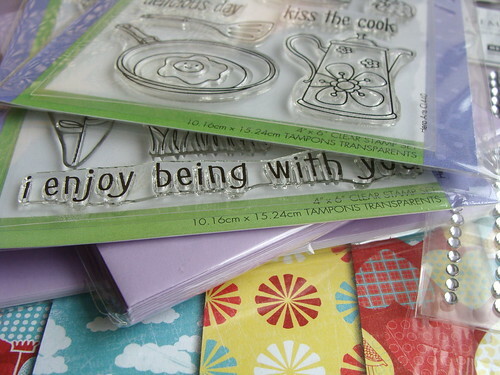 Bird has some very nice such stamps now & very cute gingham papers I am itching to try. Sentiment is computer generated. I put the flower digi stamp & the sentiment together using word. Flowers coloured with regular Nataraj colour pencils :) And my favourite sparkle – Fevicryl shimmer 3-D. 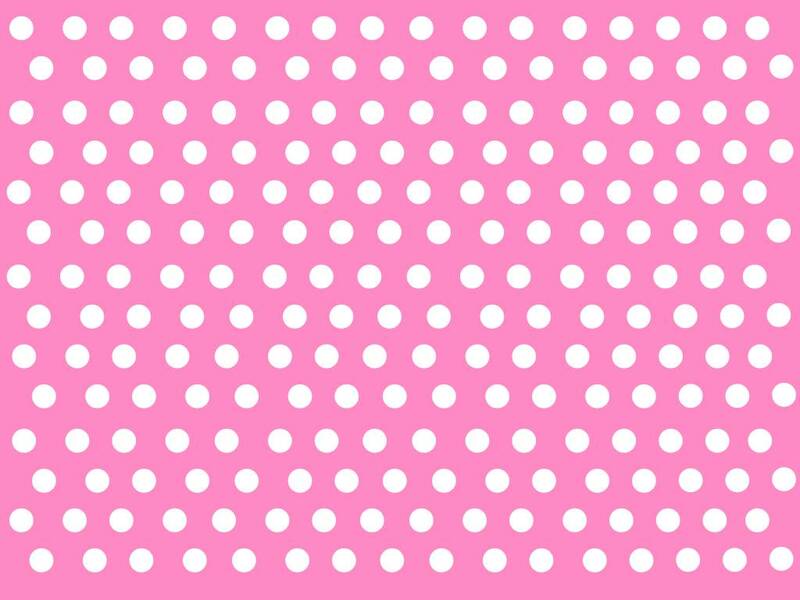 The green paper was embossed using the Swiss dots Cuttle bug folder. Just the folder :) I put the paper in & press the folder down using the handle of a scissors. PS: I find it pretty daunting to use layouts from challenges. Do you? PPS: Do these photo paper finish effect of the cards (the white border) look good or bad? This is the card I’ve made for him – on behalf of my lil one Keerthana. This is card is abso digital! All stamps are digital! So I’ve listed the stamps & their sources end of the post. Isn’t Darby a sweetie? I bought this digital stamp from allthatscraps. The entire card has tons of small digi images popped up and loads of glitter. I put them all in one page word document, printed it, cut them apart and coloured them with pencils:) Made it really easy! Apart from the Darby sprite – all other digi stamps are free. AnyoneforAnya – Sweet as Sugar – anything girlie! ETA: I understand SirStampALot wants this to be entries to only 6. Now I dont know which ones to choose. And don’t see how I can delete my entry into the others! :( So I’ll have to just let this be! Dad doesn’t check my blog and so I am hoping he won’t see this yet. Happy Birthday dad. I love you.